Our pets depend on us for food, shelter, and love. Making sure they have their basic needs covered is the kindest thing you can do for them, and sometimes they need more than a traditional dog bed. Dogs with sensitive skin and allergies can require special bedding so they can sleep in comfort. One of the main causes of allergies are dust mites. Dust mites are microscopic creatures that feed on skin cells, and they can cause allergic reactions in both humans and dogs. In fact, 30% of dogs have a strong allergy to dust mites, making them one of the most common pet allergens. Symptoms of a dust mite allergy usually include itching and rash. Your dog may scratch, lick, and bite at their skin until it’s raw. This constant irritation can prevent healing, which can in-turn cause more intense allergic reactions. Your pet’s sensitivity can worsen over time until their skin roughens, making it hard for hair to grow in those areas. The groin, armpits, and belly are the most common areas for an allergic reaction to occur, but you may also notice watery eyes and excessive scratching. To avoid these reactions, it’s best to invest in hypoallergenic bedding. 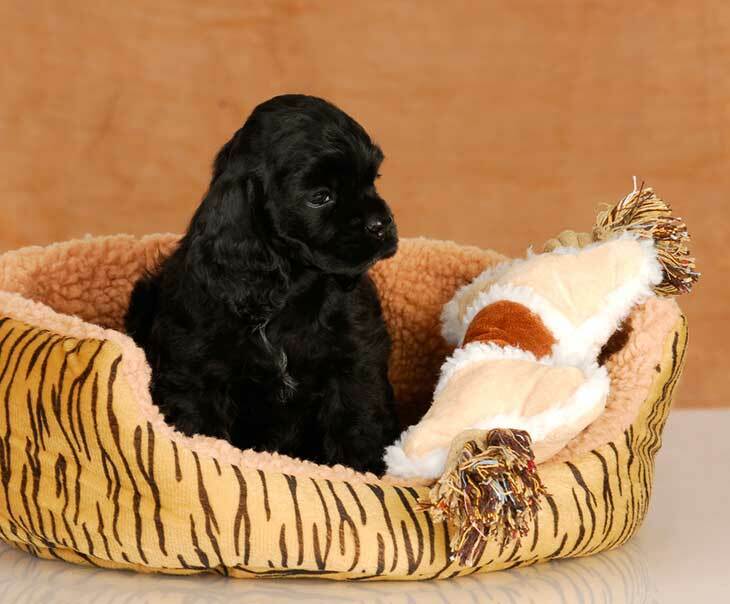 A hypoallergenic dog bed can repel dust-mites and protect your dog from allergies. 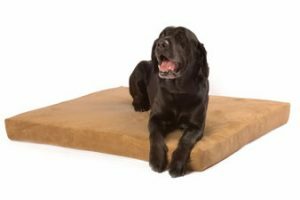 Here are five anti-allergen dog beds that can give your pet a safe haven. Coming in three sizes, this bed is built to fit any size dog. 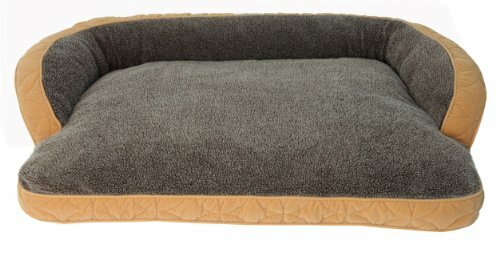 The Brindle bed is made with a 4-inch memory foam mattress, offering support and comfort to any large or elderly pet. It’s both thick and dense, and offers 2 layers of support (memory foam and support foam). This bed comes in three color options, including light grey, creamy tan, or mocha blue. The cover itself is designed with plush velour, and can be removed for washing. Under the velour is a polyurethane cover, which protects the mattress from water/waste. This bed is hypoallergenic and naturally resistant to dust mites, and comes with a 3 year warranty to make it worth your while. With a variety of design options and multiple benefits, this bed is the best of the bunch. While this bed is the most expensive option on this list, you may find it well worth the money. 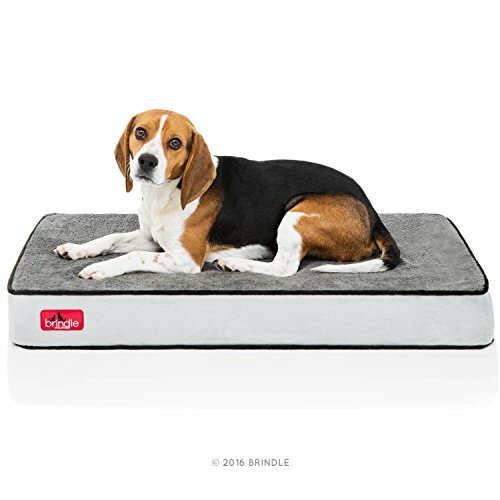 The fleece-lined, 3-inch mattress is surrounded by a 7″ bolster, which can offer your pet security and support. If you have a shy or nervous dog, this bed can lull them to sleep by giving them something to cuddle against. Place this bed in a corner or against a wall for added security, and your dog is bound to gravitate towards it. The fleece cover is removable, and can endure both machine washing and tumble dry settings. All parts of this mattress are hypoallergenic, repelling dust mites and other allergens. The sleeping space is quite large (23″ by 29″), making it ideal for medium or large dogs. It comes in chocolate and tan designs, and both are lined with synthetic sheep fleece. Fashionable, comfortable, and hypoallergenic, this bed is ideal for any multiple-dog/large-dog home. 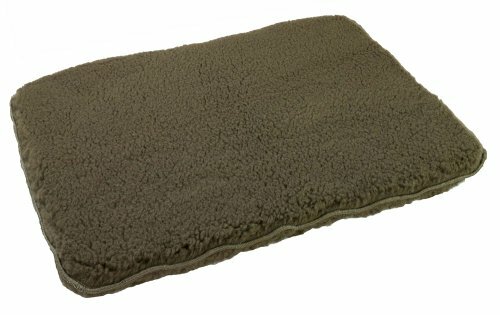 Made with synthetic fleece, this dog bed is thinner and good for smaller dogs. If your pet has a habit of ripping up their beds, this bed is sturdy and can resist their attacks. There is no filling to rip out, which means less mess for you to clean up. While it isn’t made with memory foam or heavy padding, it does offer your pet a soft place to sleep. Larger, older dogs may require more support, but small dogs can benefit from the simplicity of this bed. It can be placed near fireplaces, at the foot of beds, or inside crates. If a mess occurs, the entire bed can be thrown in the washer for easy cleaning. No removable covers, no broken zippers, and no hassle. It is the perfect to-go bed, and can be thrown in a suitcase or in a duffel bag for transport. If you need a simple, hassle-free bed, this option is both hypoallergenic and easy to wash. If your dog’s age is also beginning to catch up with them, this bed might solve all of your problems. Made with memory foam and protected with a waterproof liner, it’s ideal for elderly pets. It’s hypoallergenic and repels allergens like mold, mildew, and dust mites, protecting your pooch against allergies. 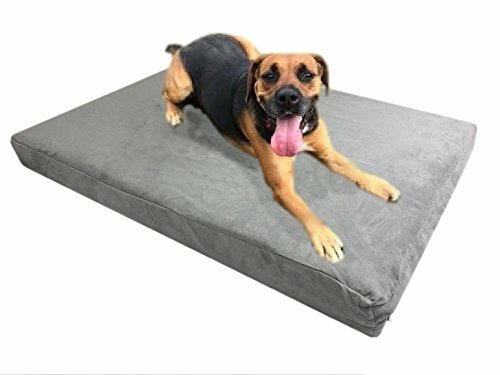 The bottom of the bed is skidproof, keeping it in place while your dog climbs on and off. All covers are made with zipper for easy removal and cleaning, and they can be cleaned in a traditional washer/dryer. The top cover is made from micro-suede and comes in a chocolate brown, and the zipper is hidden under a eyelid flap. If you have an easily frightened pet, you may have to remove the loud interior cover. As long as your pet doesn’t have a habit of peeing on their bedding, this shouldn’t be an issue. This bed is designed to be used indoors, and placing it outside may result in water damage. If you own a small dog, this bed may dwarf your pet, which can be both a pro and a con! However, if you own a large dog, this bed may offer the support they need without causing an allergic reaction. Another good bed for arthritic or elderly pets, this bed comes with a 4 inch memory foam mattress and two microfibre cover. It repels pet hair, dust mites, and mold/mildew, putting it on par with any other hypoallergenic option on the market. The size makes it ideal for small or medium sized dogs, and it can be placed anywhere in your home. The internal cover protects the bed against water and urine, and the washable covers can be routinely washed. They include an additional cover with every order, which makes it easy to cycle out your pet’s bedding without leaving the bed bare. You can replace the cover every week, or stow away the extra until an accident occurs. The washable covers are stitched so that they won’t come apart after just a few washes, and the bed itself is designed to resist flattening and shrinking. Like most dog beds, this bed cannot be kept outside. It should be placed indoors for the best experience. If you have an outdoor dog, they can be brought in to sleep, or you can place this bed in a covered place away from the elements. Inside dog houses, within covered creates, or in garages are acceptable places to put this mattress. From these listings, the most versatile, affordable option is the Brindle Velour bed seen in #1. With a number of sizes and designs to choose from, its perfect for almost any household. No matter what size dog you have, this bed is built to fit, and the pricing is affordable and well-matched to the product. We’ve all suffered from allergies and hay fever, and no-one wants to inflict that upon their pet. Hypoallergenic bedding is a good way to give your pet a safe, allergen-free place to sleep, and you’d be surprised by how many problems that can solve. When your dog doesn’t have to rest against allergy-ridden couches and carpet, many of their symptoms may lessen or disappear. If you’re having trouble finding a dog bed for your pet, checking out online listings can be a good way to scope out new options. Even if you don’t find what you’re looking for here, they can give you a good idea of what you need. Checking local pet stores and pet-depots is another way to find bedding, but make sure to check for the hypoallergenic tag!